*Disclaimer; Some of my posts were written a few weeks ago in preparation for Blogmas. There may also be A LOT of videos in this post! 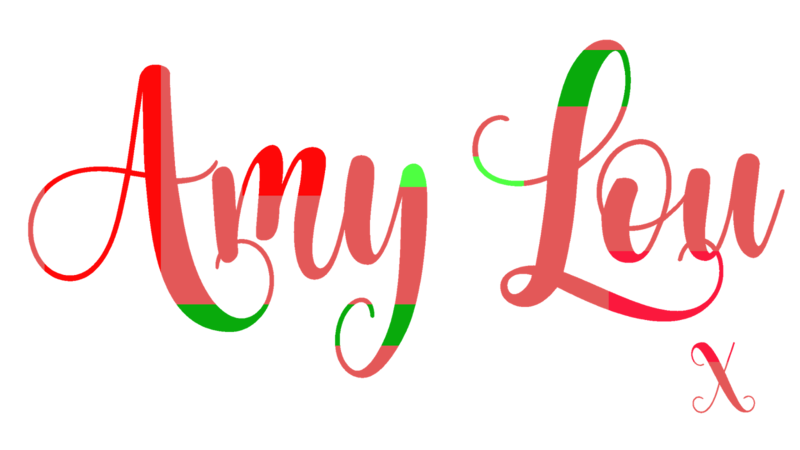 So this is the first day of Blogmas! And Friday is one of my usual blogging days, so it's nothing different! And today's blog post is all about why and what I love about Christmas! I was going to start posting Blogmas on the 12th of December! But I wrote this early, and decided, it's going out on the 1st! 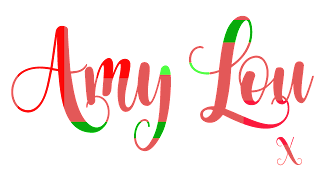 I'll likely spread my posts out, so here is my first official #blogmas post! 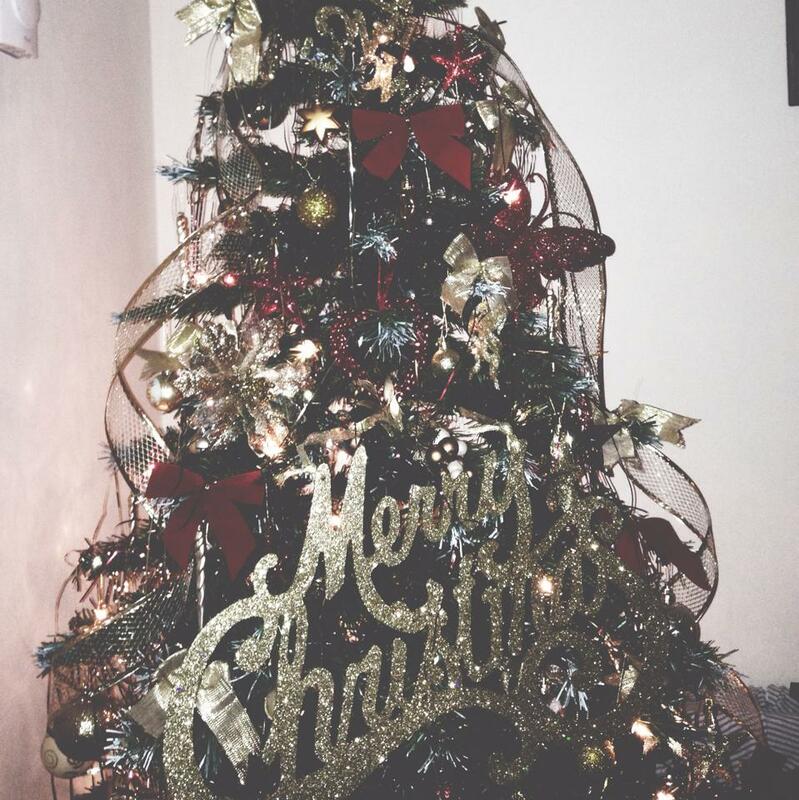 Sister's Christmas Tree - Photo taken by me - 2014. This may sound weird, but I love the fact Christmas or Winter involves putting more clothes on. This may be from an insecurity perspective, but when it's Summer, you can only take off so much clothing without being judged, so in Winter or at Christmas, you can head to Primark, and buy a fluffy jumper, hat, gloves and scarf and layer them clothes up to keep warm! I love the idea of wearing christmas jumpers, having a nice cup of tea and being super warm of your own accord. As someone who values her family above anything else, bonding is always important to me. My anxiety has always made me feel like an outsider in any social circle, but my family will always be at the top of my list of importance. However, at Christmas I feel, my family comes together, even if there are spats or family drama some years, I feel like it brings my family closer together and highlights the love that is in the world. Last Christmas I gave you my heart! Yes that's right, christmas songs are my major motivation after Halloween comes along. Although I'll Make a Man Out of You from Mulan is my adrenaline pumping, get out of bed song, nothing can beat listening to Michael Buble's Winter Wonderland or Pentatonix's Hark the Herald Angels Sing on a frosty November/December night! Keep an eye out on my blog posts because there may be more on this later! Don't lie and tell me you never look forward to the Coca Cola advert every year? Everyone knows once that hits the TV, you can start the festive celebrations! Christmas adverts can bring tears, happiness, and some are just plain hysterical! One of the best is the Sainsbury's "1914" Christmas advert (see above! ), they did in 2014. It really tugged at the heart strings, and with having heard and learned so many stories about this day, if you don't shed a tear, ARE YOU HUMAN? Of course, it's not to everyone's tastes and sometimes we need super silly christmas adverts, you can watch a compilation of some wonderful adverts shown in the past years! You could easily bulk buy general advent calenders and have something to open once a day! But Advent Calenders always add a little sprinkle of joy to your morning! My mum has not bought me advent calenders since I was 15? But this year she decides to buy me 2 (See above). I don't like milky bar, but I was so excited to see my dairy milk calender! It really does cheer you up when you're a bad sleeper like me, and get a little bit of chocolate in the morning! And there are so many types of advent calenders you can get! Philip Schofield (from ITV's This Morning) bought himself an alcohol advent calender last year, and it was hilarious all the videos he put on his snapchat (If you haven't got him, his snapchat is "philipschofe", YOU NEED HIM.) You can also get various makeup advent calenders, cheese advent calenders, gaming advent calenders and even cereal advent calenders! And last but not least; Christmas Films! My all time favourite Christmas film is listed above! To some it may look very poorly made, or low budget, but this film was first shown on Christmas 24 (the christmassy film channel.) I fell in love with that channel a good few years ago, due to this particular film. This film is the ultimate Christmas romance film, and it's like a fairy tale. Of course I enjoy the classics like White Christmas, It's a Wonderful Life and then the family films such as When the Grinch Stole Christmas and Fred Claus too. Christmas films bring the family together or better yet, give you this sense of fulfillment, and you can live your fairy tale through them. They have plot twists which may make you sad, but the essence of it always reverting back to Christmas implies hope among merriment. These are my favourite things about Christmas (once condensed! I had a really long list, but I could actually bore you.) What are your favourite things about Christmas? Or if you've done a similar post, leave me the link down below! And this blog post was a little different, as I'm learning some writing styles and adding things people can disseminate so any feedback is welcome! Don't forget to share, comment and like(+1)! I always love the Christmas adverts. There are some this year that just don't jump out at me though. I think my favourite is honestly the Sainsbury's one, it's so fun and catchy!